Perfect for multimodal commutes. Optimal for homes with limited storage. Essential for anyone who wants to travel with a bike. It’s easy to bring your bike with you when you have a foldable bike. A folding bike can quickly and easily fold to suitcase size and travel with you on planes, trains, and buses, and into buildings for safe storage. The portability of a collapsible bike makes it ideal for multimodal commutes and/or first and last mile transportation. Ridesharing services and taxis aren’t off limits because foldable bikes fit in cars, even smaller compact ones. A foldable bike quickly folds to fit on any elevator, and stows discreetly under your desk or restaurant table. This reduces risk of theft while increasing ride opportunities, and you won't have to lug a heavy u-lock around. Collapsible bikes are a space saving solution for anyone with limited storage space, and they can help declutter your home. They’re ideal for apartment dwellers because their compact folded size allows for storage underneath beds and in closets, corners, and nooks. As is true with any bike, it’s most protected at home, indoors. Since foldable bikes are more easily stored indoors than a normal bike, they can more easily be safeguarded from theft and elements of climate and weather. 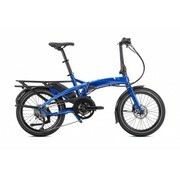 In addition to the commuting and space saving benefits of foldable bikes, they are fast, fun, and easy to use. Perfect for start-and-stop city riding, their small wheels accelerate quickly off the line, lose less speed to wind resistance, and offer greater maneuverability around road obstacles. Their smaller wheels are also lighter and stronger than the larger, longer-spoked wheels of a regular bike. Most folding bikes are one size fits all and can be shared among household members. 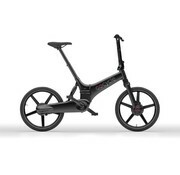 The handlebars and seat can be raised and lowered to fit a wide range of riders, and the bike can be folded or unfolded, easily, in under thirty seconds. The best commuter bike is a folding one. Once you experience the free and unrestricted mobility that comes with owning a foldable bike, you’ll see why commuters love them. Imagine being able to effortlessly switch your mode of transportation several times in a single trip. Collapsible bikes are convenient, portable, space saving, and fun. 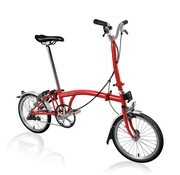 At Clever Cycles, we sell Brompton and Tern. 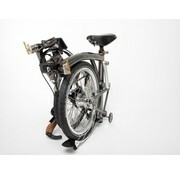 Brompton folding bikes are handmade in London. 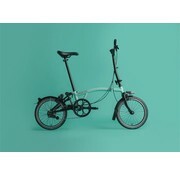 Brompton's foldable bikes have exceptional ride quality, an unbeatably compact folded size, and loads of custom options. Year after year they outsell all our other bikes. 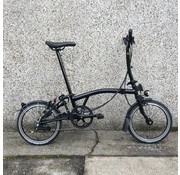 Terns start at half the cost of Bromptons, but with a larger folding size. Their larger wheels and exceptionally stiff frames mean they ride as well or even better than Bromptons. You’ll have to test both to decide! A folding bike that goes fast and folds small. An upright and stately folding bike. Compact and convenient. A folding bike you can take anywhere with you. A light and simple folding bike. Ideal for city living. 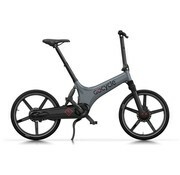 Gocycle's fast-folding ebike. Perfect for urban commuting. 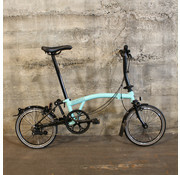 Brompton's superlight variant of our most popular configuration, made even lighter. A folding bike that rides like a full-size bike at our most affordable price ever. 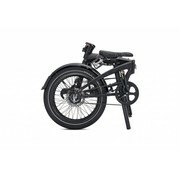 The lightweight Brompton M2L has 2 speeds, classic M type handlebars, and mudguards. 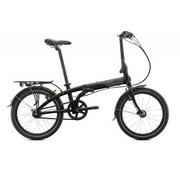 The lightweight Brompton M2R has 2 speeds, M type handlebars, mudguards, and a rear rack. The robust Brompton M3L has 3 speeds, classic M type handlebars, and mudguards. 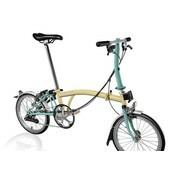 The Brompton M3R has 3 speeds, classic M type handlebars, mudguards, and a rear rack. The versatile Brompton M6R has 6 speeds, M type handlebars, mudguards, and a rear rack. 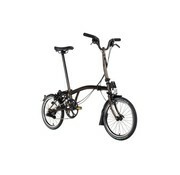 The efficient and lightweight Brompton H2L has 2 speeds, H type handlebars, and mudguards. The lightweight Brompton H2R has 2 speeds, H type handlebars, mudguards, and a rear rack. The robust Brompton H3L has 3 speeds, H type handlebars, and mudguards. The robust Brompton H3R has 3 speeds, H type handlebars, mudguards, and a rear rack.